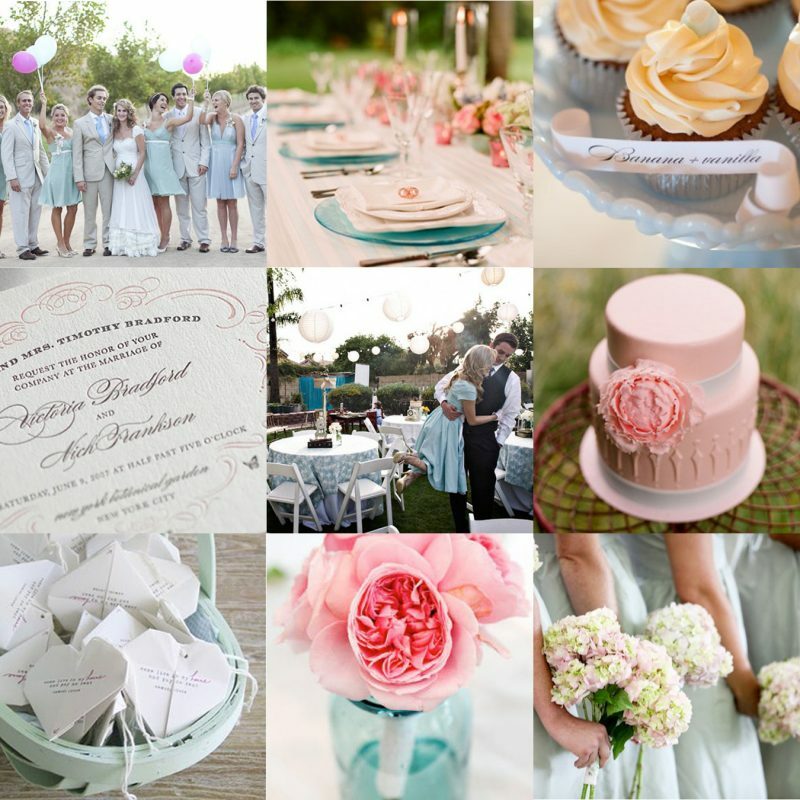 Before I decided that I want my wedding colors to be mostly neutrals and navy, I had envisioned my wedding being mostly white, accented with pastel shades of pink and blue. They are my favorite colors after all (I think. It’s so hard to choose!) It was actually around the same time that I posted the navy post that several of my favorite blogs featured weddings with the pastel color scheme. I still love those colors (especially for a spring wedding) and I couldn’t help but make a board out of some of the pictures I found. Enjoy! I really like this inspiration board! The colors are just so dreamy!